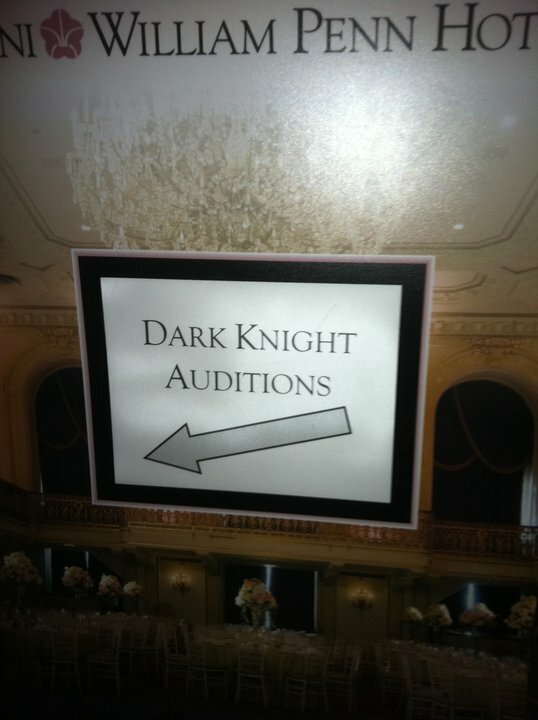 An open casting call for The Dark Knight Rises kicked off in Pittsburgh today, check out that line! Thousands of people lined up at the Omni Hotel for a chance to be part of Christopher Nolan’s final Batman film. If you’re over 18 years old and want to be an extra in Pittsburgh, you have a few more chances to audition. No acting experience is required. Some roles they’re looking for include prisoners/thugs, guards, police officers, business men & women and sports fans. Head on over to Smith & Webster-Davis Casting for more information. Good luck! Thanks David for the heads up, Yurka for this photo from inside the hotel.